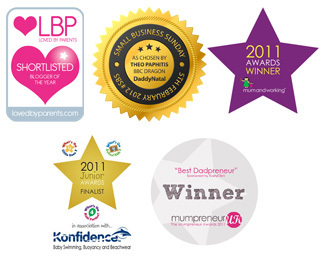 One of the topics we discuss in our BabyNatal Practical Baby Care classes is nappy changing. As with everything else we do at The Natal Family, we like to give parents plenty of useful information to help them make informed choices. This means that in our classes we go through a lot of options. And when it comes to nappy changing, parents can not only choose between different brands of disposable or eco-friendly nappies, but they can also opt for cloth or reusable nappies. In celebration of Real Nappy Week this April, we asked our BabyNatal teacher Sara to share what choices she and her husband made for each of their 3 children when it comes to using cloth or disposable nappies. Read on to find out how Sara first came across real nappies and how they worked for her in different ways for each of her children. WARNING: If you don’t really want to think about my menstrual cycle, you probably should’ve stopped reading by now. This is a post I’ve been meaning to write for a while but wasn’t sure how it would be received. Coz, you know, it’s all about fannies and periods and stuff. Not your average chit chat is it.